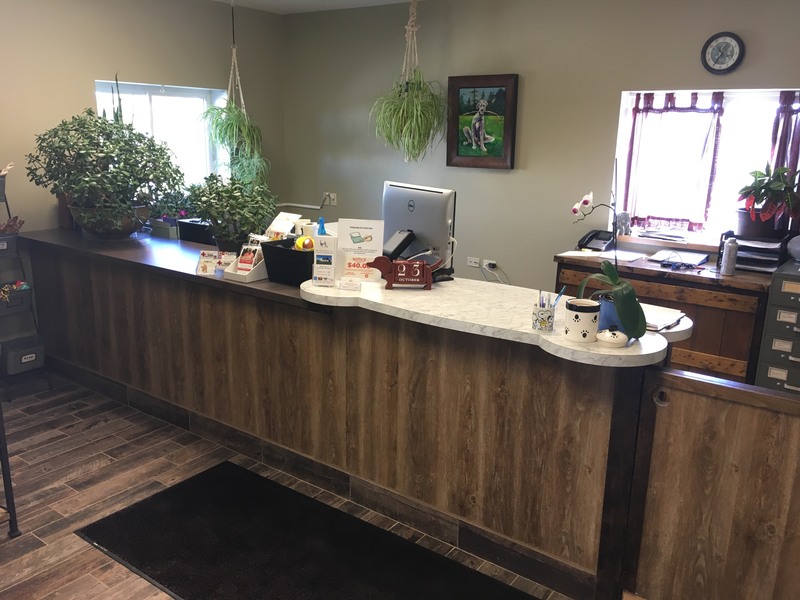 New Reception at Kritter Kastle | Green Lake, WI | Visit Us Today! HomeKritter Kastle NewsKritter Kastle NewsConstruction is complete! The new reception area at Kritter Kastle is finally completed! After a three month long renovation, Kritter Kastle now offers a warm and cozy welcome to our boarding facility. 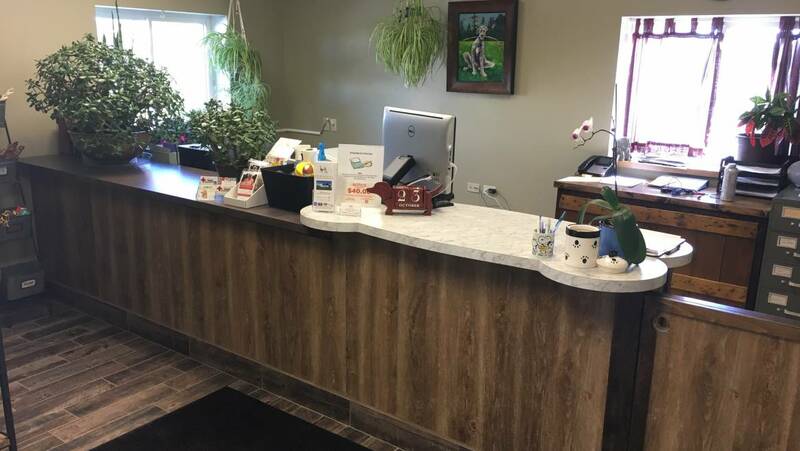 The new construction allowed us to upgrade our desk into a fun dog bone shaped reception area. We now have plenty of retail space for exciting new toys for your furry friend.